* prices in PLN, per run for whole group Rest in the mountains allows you to distance yourself in relation to everyday problems, to breathe in fresh air and actively spend time on the slopes of the mountain. During the summer you can indulge in the charms of tourism routes in the mountains, or visit the tourist attractions of selected villages. One of them is Krynica-Zdroj – a town in the district Nowosądecki, which is known for its spa tradition. In this town there is water Zuber which is one of the strongest in terms of healing water. Coming from Krakow to Krynica-Zdroj you can ensure a comfortable transfer, with BeKrakow offer. For years we have been providing car service for various customer groups. Transportation industry is well known to us. We improved our experience in organization of private transfers on domestic and international routes. So you do not have to know how to get to Krynica-Zdroj from Krakow Balice airport. Rely on our knowledge and experience. With the help of BeKrakow always find the best way to get Krynica-Zdroj. We organize for you a transfer from Krakow to Krynica-Zdroj and return. In our business, we use the best comfort, modern cars, in which our customers travel national or international routes. During several hours ride you can take a nap in the car, enjoy the views, or read your favorite book. Leave with us the responsibility to ensure a secure private transfer from Krakow to Krynica-Zdroj. We provide the door-to-door services, so you do not have to worry about how to arrive at the station or in another place where you could start your trip to Krynica-Zdroj from Krakow Balice airport. Taxi drops you to the indicated place in the destination city. Book your private transfer from Cracow to Krynica-Zdrój and enjoy a pleasant journey! Our luxury chauffeur can pick you up directly from the arrivals at Krakow Balice airport. Private taxi drop you to Krynica-Zdroj, to the chosen hotel or guesthouse. You will travel in a comfortable way and always get on time to the desired location. Book your transfer from Krakow to Krynica-Zdroj, to be able to enjoy a perfectly organized trip to this beautiful spa town. We can guarantee you that our driver will pick you up from the Balice airport in Cracow at the appointed time and implement the transfer from Krynica-Zdroj to Krakow, taking care of your complete satisfaction. Want to know more about the services of private transfer from Cracow to Krynica-Zdroj? 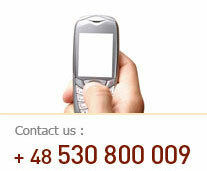 We remain at your disposal by phone and e-mail address. What is the distance from Krakow to Krynica-Zdrój? Distance from Cracow to Krynica-Zdroj is 160 km. It’s not much, but not knowing how to go to Krynica Zdroj from Krakow Balice airport you can go wrong and increase the transfer. Book your private taxi in BeKrakow and never encounter such a situation. Our driver will make every effort to ensure that the transfer runs without any interruption. The route from Krynica Zdroj is Cracow runs through Bochnia. If you want to quickly drive the distance from Krakow to Krynica-Zdroj, please use the car service BeKrakow company. Transfer time is as short as possible. Our driver will reach the place in time 2 hours and 30 minutes. Such a transfer would be the right time for the calculated route by Bochnia if you do not encounter traffic jams, road works or accidents. The table on the left you can see the total cost of a taxi from Cracow to Krynica-Zdroj. This amount is the total cost of the service private transfer to the indicated route and includes: taxi fare, the cost of gasoline, air conditioning, insurance and comprehensive service luggage. With our car services, which we can offer you, you’ll be traveling around Poland comfortably, with an experienced driver. If you do not know how to get to Krynica Zdroj getting from Krakow, book your private transfer in BeKrakow right now!